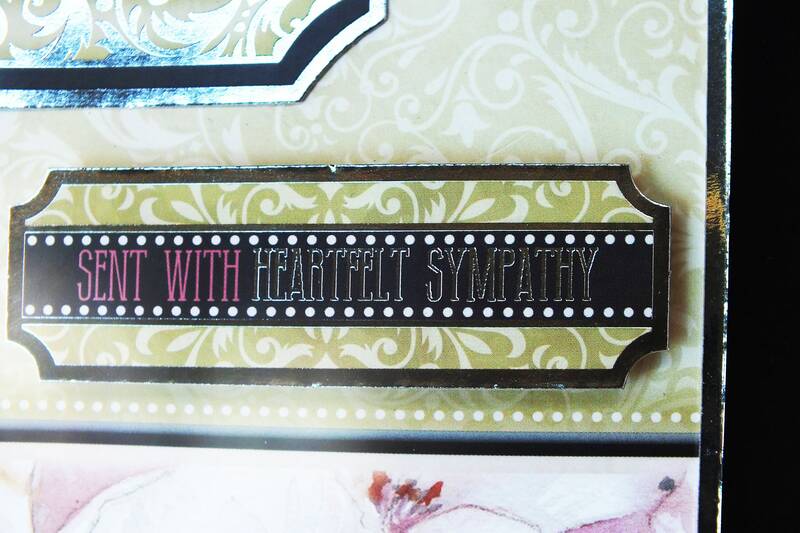 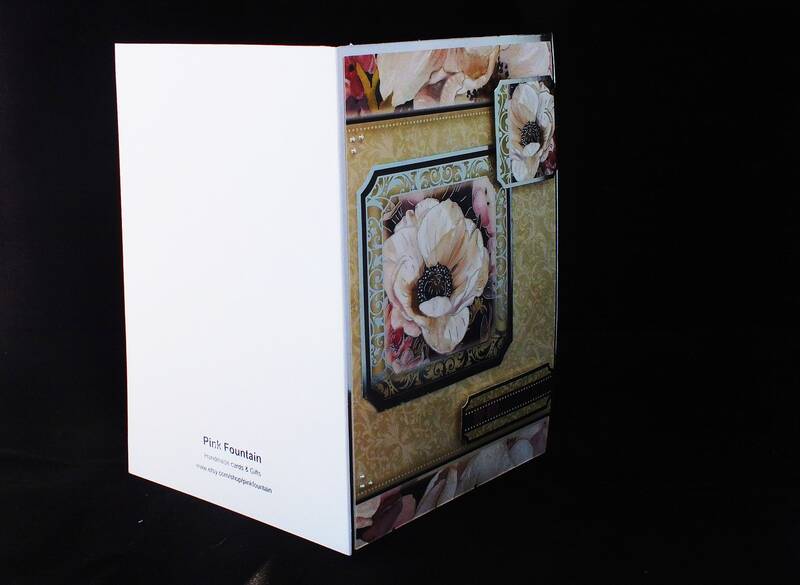 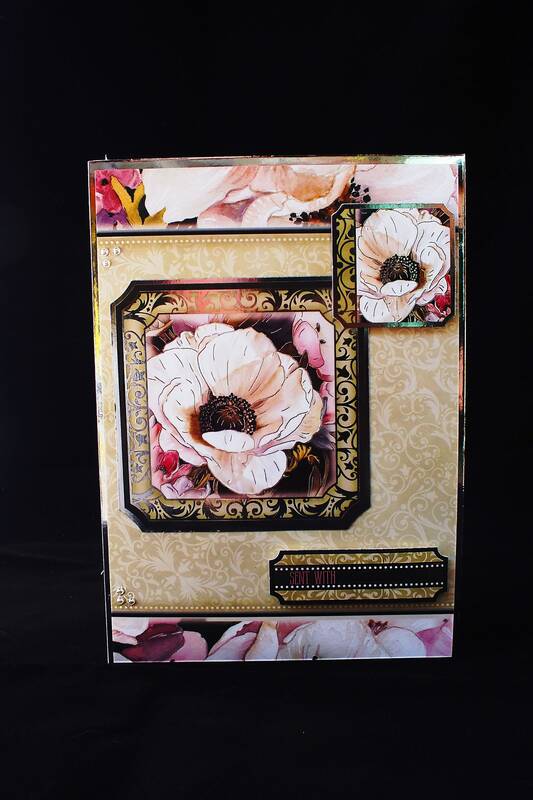 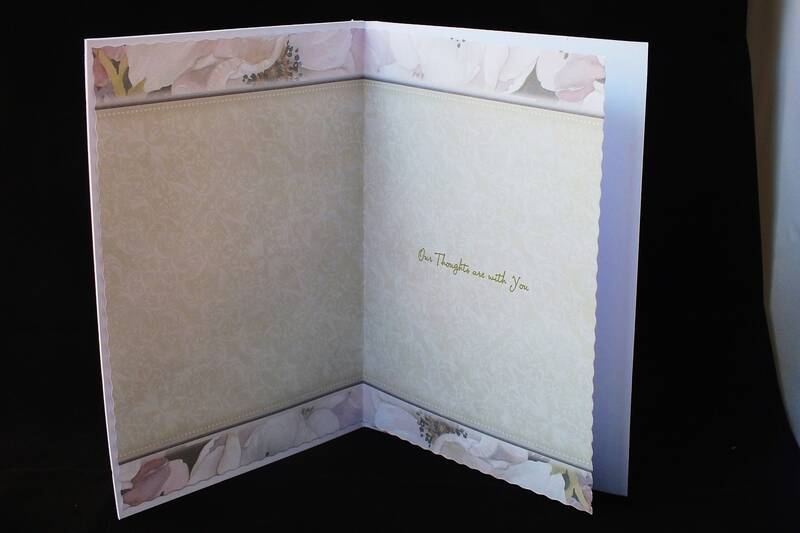 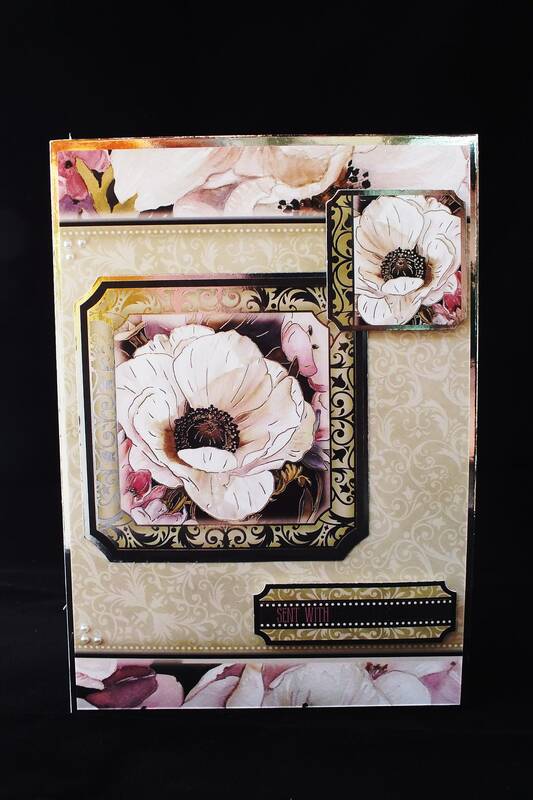 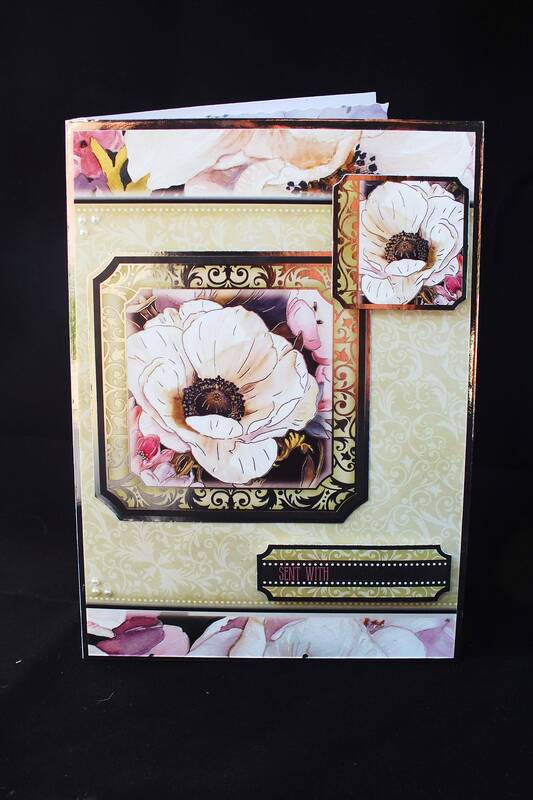 A sympathy card made from white base card layered with silver card and floral patterned card with a large topper in the centre of the card with a smaller topper in the top right hand corner, at the bottom of the card is a sentiment which says,' Sent With Heartfelt Sympathy'. 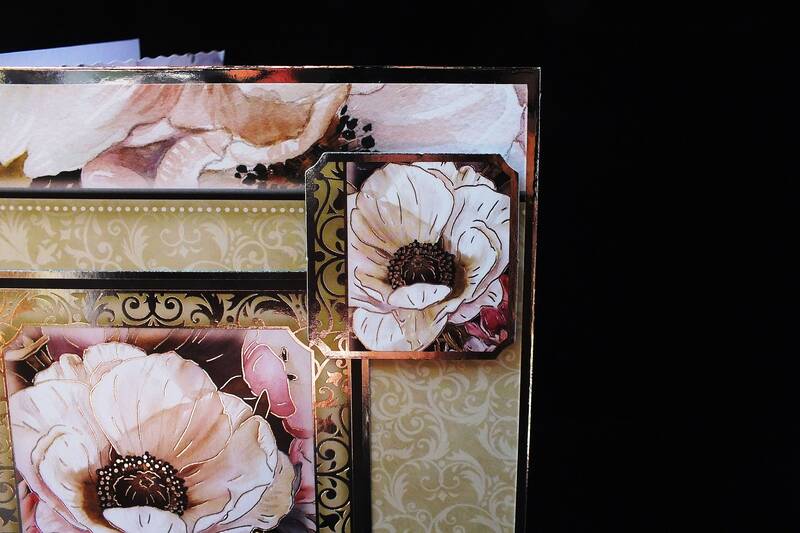 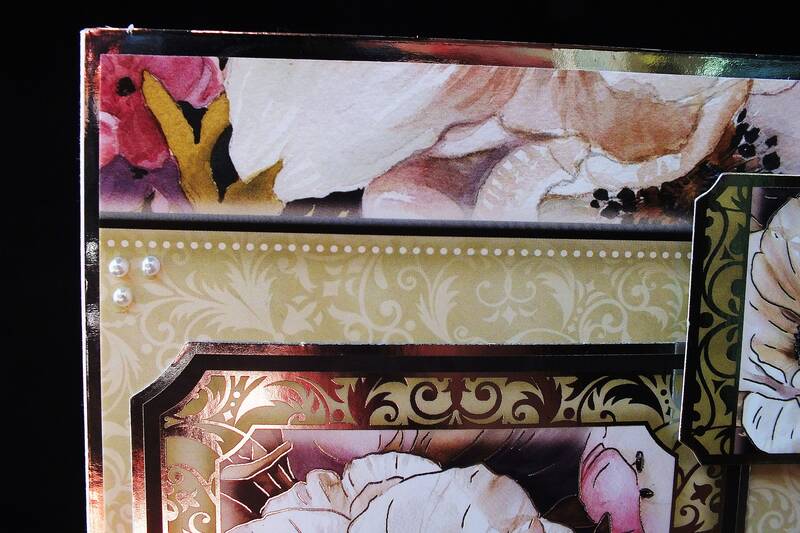 There are pearl embellishments on the left hand side of the card. 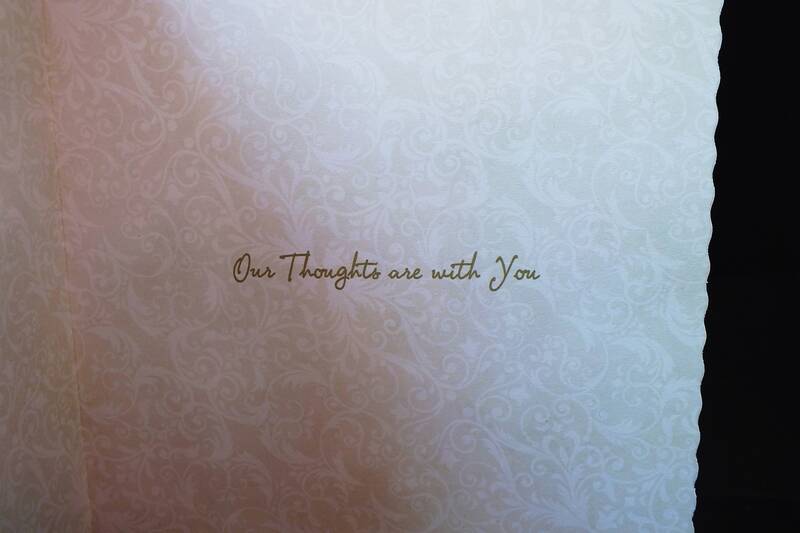 Inside the card is matching insert paper with the words,'Our Thoughts are With You'.